It makes me so happy when I can find something convenient and healthy to feed my kiddos. I mean, we are busy, so it’s not always easy to find convenient but healthy snacks for them. That’s why I’m pretty crazy over Chobani’s Greek Yogurt pouches! These pouches are easy to take along in the car with no mess and I love that I can toss one in Kate’s lunch and know that she is getting a healthy snack in her lunch. She absolutely loves them! 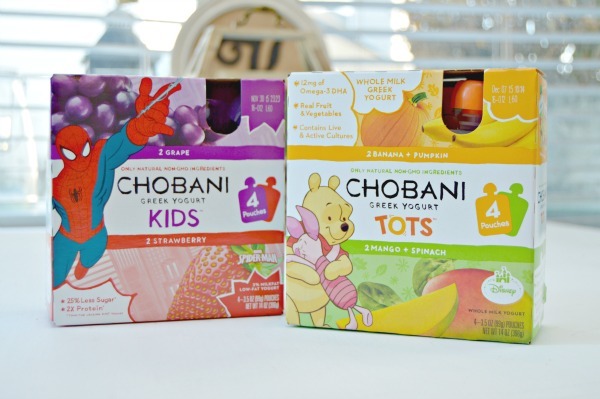 Chobani Kids® and Chobani Tots® contain real fruits and vegetables, and nothing artificial. That means only natural ingredients, no preservatives or artificial colors or flavors. They also contain less than 5% lactose, are gluten free, and have live and active cultures and probiotics. Did I mention they keep messes at bay and are super cute too? 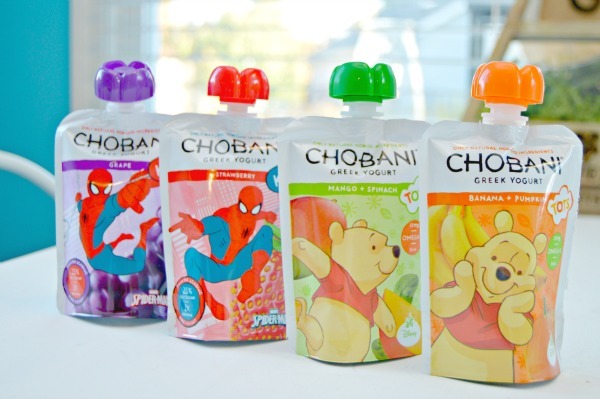 Chobani Kids Pouches come in 3 flavorful variets including Strawberry, Grape and Vanilla & Chocolate Dust! They have 25% less sugar than the leading kid’s yogurt and a good source of protein and calcium and are packed with 2X the protein compared to the leading kids’s yogurt…win, win! You can find different packages featuring Spider-Man and Doc McStuffins, in dual flavor 4 packs. 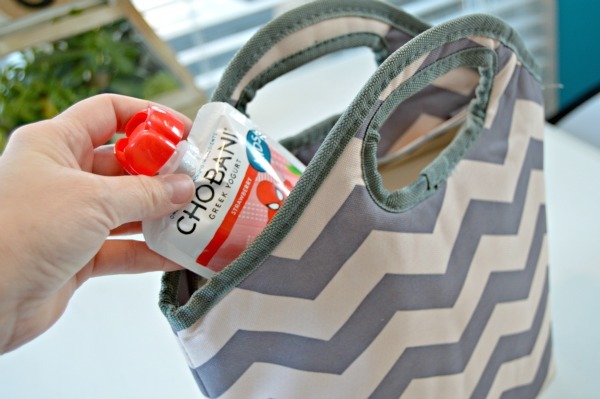 Chobani Tots Pouches are designed for babies beginning at six months, and are made with whole Greek Yogurt, providing 12 mg of omega-3 DHA. There are also Chobani Kids Tubes that contain 25% less sugar than leading yogurt tubes! Each 2-ounce tube provides 5g of protein, compared to 2g for other kid’s yogurt. They are available in Strawberry, Banana, Mixed Berry and Watermelon. For busy moms and kids on the go, these are perfect! I like to freeze the yogurt tubes and serve them like popsicles. They are delicious and my kids don’t even realize they are eating something healthy! The yogurt pouches are great in the car, as a snack before or after practice, and make a great addition to any meal. Kate loves them with oatmeal! You can find these in your Grocer’s Refrigerated Section…grab some and let me know what you think! 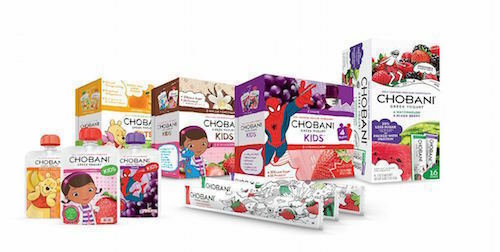 Be sure to check out Chobani Kids Savings too!